It's here! The most exciting time of year for Royals! Click here to read what to expect in the next 6 weeks. 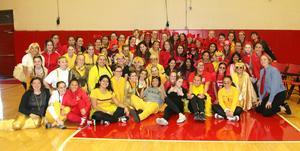 We are very excited to kick off one of our favorite Rosary traditions – Red & Gold! During our Red & Gold season there will be no early dismissals on Tuesdays and Fridays and no late starts on Thursdays. So remember – all of February and the first two weeks of March we will not have early dismissals or late starts. The regular schedule will resume on Tuesday, March 12. 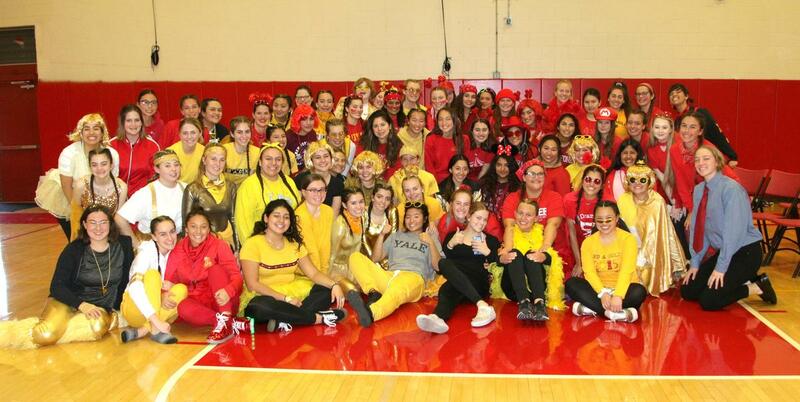 Red & Gold Performance weekend is March 8th and 9th at the Anaheim Center for the Performing Arts at Servite. Show times are Friday, March 8, at 2:00 p.m. and 8:00 p.m.; and Saturday, March 9, at 1:00 p.m. and 8:00 p.m.
Tickets will be available for purchase online in February. Ticket information will be sent home with students the first week of February. Also, be sure to show support for your daughter by placing an ad in the Red & Gold program and pre-ordering your mascot bear and flowers. Order forms will be mailed home.